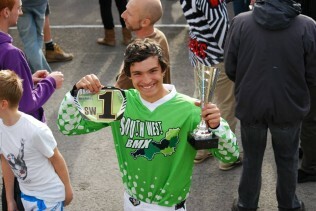 Brymore student, Luke Perrett, is still smiling after winning at the South West BMX Bike Championships the day before he came back to school. Luke, from Combwich, has only been racing for a short time and despite breaking his arm earlier in the year still managed to bring home the gold. The championships were held on Luke’s home training ground in Burnham-on-Sea and he won the age 13 and under category. Robert Watts, Director of Boarding at Brymore, says ‘It is an amazing achievement for any student to win a trophy but it does say a lot about a true Brymore boy and Luke in particular. Luke showed great determination and resilience in coming back from a bad injury not only to compete but to win and that is a real triumph and one he and we are rightfully proud of’. There are no further races for this year but Luke will be able to continue to train at Brymore on the purpose built bike track within the grounds and he has already set the fastest time for other boys to strive to beat. ← Best GCSE results yet!